IHG has today launched a new upscale international hotel brand designed for the Chinese market, Hualuxe Hotels and Resorts. Hualuxe translates from Hua, which means majestic China and luxe, representing luxury. The properties will offer guests a more traditional Chinese experience, with teahouses and late night noodle bars. IHG said long-celebrated traditions would be reflected in the physical hotel design and brought to life through a refined welcome experience, while natural surroundings from the green arrival, to the lobby garden and resort inspired bathroom are aimed at rejuvenation. Hualuxe will launch initially in Tier 1, 2 and 3 cities and resort locations in China and in time, will open in major cities elsewhere in the world. 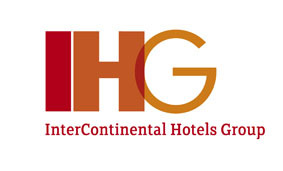 IHG CEO Richard Solomons said: "Building on our proven ability to build, develop and nurture brands, we are very proud to be launching Hualuxe Hotels and Resorts - a genuine first for the industry and a unique brand developed by our Chinese team."